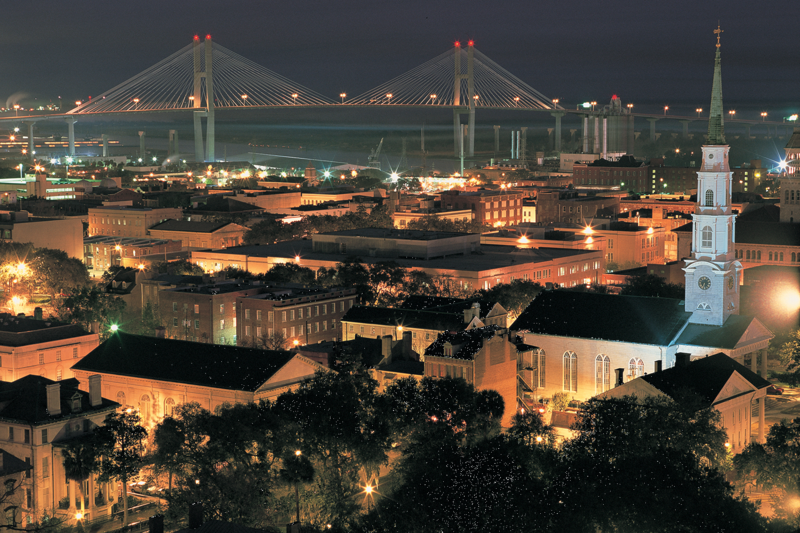 Discover the beauty of Savannah at night. Immerse yourself in the local lore and legends in Savannah’s history that have contributed to the city’s notoriety as one of the Nation’s most haunted cities. Your Gray Line tour guide will share unique and historical stories throughout this 90-minute tour – some may even raise the hair on the back of your neck! Savannah is known as one of the Nation’s most haunted cities. The lighting changes, the outstretched arms of the live oaks reach out to grab you, and the historical stories on this tour about pirates, historic families, folklore, voodoo, and haunted homes come alive as you drive past the dimly lit mansions of Savannah's Historic District. 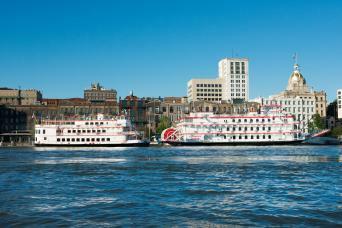 Fully Narrated 90 Minute Tour with complimentary pick ups at Historic District Hotels and Savannah Visitors Center. Didn't see much. Mannequin in a window was hokie. Wasn't as haunted or ghostly as I'd like. Very good, family-friendly tour. You get a nighttime perspective, and are driven around the beautiful squares of Savannah. If you are looking for scary or creepy, this is not for you. This tour talked about the pirates, folklore, and haunts of Savannah. It was a well informed, historical accounting of Savannah's history. The Historic District of Savannah has a colorful past that dates back hundreds of years. As the sun sets, the city’s beauty takes on a whole new view and some of the stories told about the past may change your thoughts about going to sleep at night. 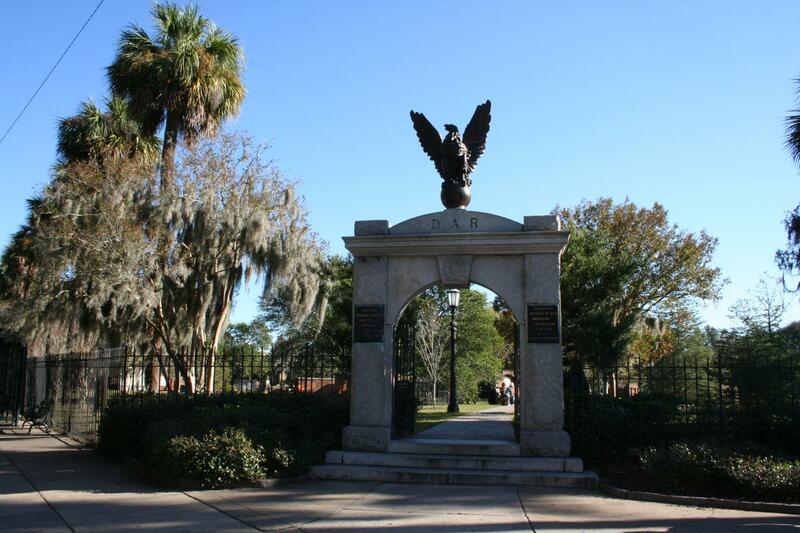 This tour will share some of the city’s beautiful vistas of lamp-lit parks, glorious fountains, majestic monuments, and low-hanging Spanish Moss. 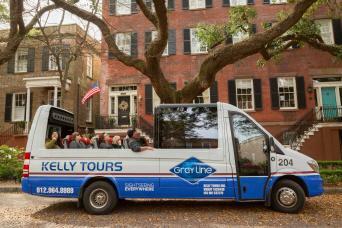 Your Gray Line tour guide will share some unique and historical stories that may cause the hair to raise on the back of your neck and surely leave you with a whole new view of the city’s Secrets in the Night. Give us 90 Minutes and we will show you Savannah by Night! 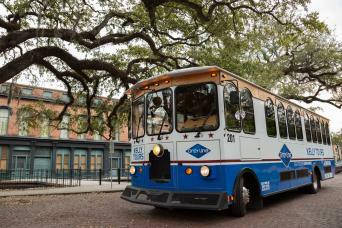 Trolley departs from both the Savannah Visitors Center at 301 Martin Luther King Blvd and Historic District Hotels. Please call or email 24 hours in advance to schedule your pick up location and time.